Tom Weber is a Harvard man, class of ’72. 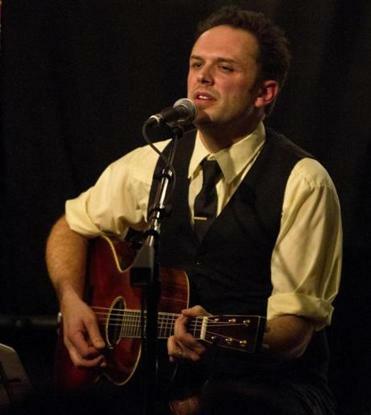 During his years in Cambridge he spent countless hours at Club Passim, the Unicorn Coffee House, and other venues that hosted singer-songwriters. He saw Jackson Browne, John Prine, Tom Waits, and many other performers who went on to stardom. “I got to see all my heroes up close and personal,’’ says Weber, who now lives in Pennsylvania. The title of the film echoes that of a song by Mark Erelli, one of several Boston-affiliated musicians who appear. Chris Smither lives in Western Massachusetts; Mary Gauthier ran the Back Bay restaurant Dixie Kitchen when she lived here. The film centers around Peter Case, a sometime rock ’n’ roller who has spent much of his career playing solo, in small clubs and coffee shops and at house parties, inspired by old bluesmen and Beat poets. No one in the film is a real star; they’re all blue-collar, hard-traveling workers whose trade is their songs. “You create this thing, you live it all the time, and you take it to people,’’ says Case in the film. Erelli appreciates the fact that Weber concentrated on contemporary artists, without trotting out a historical lesson on roots music and the folk revival of the 1960s. The artists filmed in “Troubadour Blues’’ surely have political views, but the majority of their songs are like short stories or phone calls, full of emotion and observation. “It’s already written on your soul, what your subject matter is,’’ says Case in the film. Erelli, who grew up in Reading, says he discovered classic country music through Southern rock bands such as the Allman Brothers and Lynyrd Skynyrd. At a recent show at Passim billed as “Under the Covers,’’ he joined Lori McKenna, Jake Armerding, and Zack Hickman playing twangy acoustic versions of songs by Tom Petty and Creedence Clearwater Revival, among others. At Bates College in Maine, he began booking shows, starting with Chris Smither (through whom he met Weber). Delving into the music of Texas songwriters such as Townes Van Zandt and Jerry Jeff Walker, he was thrilled to find a photo of another Texan, Robert Earl Keen, wearing a T-shirt of the late New England songwriter Bill Morrissey. Weber says he logged more than 100,000 miles over 10 years, most of it around the Northeast, in gathering footage for the film. He estimates he spent $20,000, mostly on gas, meals, and motel rooms. He raised $12,000 in donations, which he used to pay for rights to the music in the film. About $4 of each sale of the DVD goes directly to the artists, he says. James Sullivan can be reached at sullivanjames@verizon.net.